During the nineteenth century, chemists arranged the then-known elements according to chemical bonding, recognizing that one group (the furthermost right column on the Periodic Table, referred to as the Inert Gases or Noble Gases) tended to occur in elemental form (in other words, not in a molecule with other elements). It was later determined that this group had outer electron shells containing two (as in the case of Helium) or eight (Neon, Xenon, Radon, Krypton, etc.) electrons. As a general rule, for the atoms we are likely to encounter in biological systems, atoms tend to gain or lose their outer electrons to achieve a Noble Gas outer electron shell configuration of two or eight electrons. The number of electrons that are gained or lost is characteristic for each element and ultimately determines the number and types of chemical bonds atoms of that element can form. Atomic diagrams for several atoms are shown in Figure 1. Figure 1. Atomic diagrams illustrating the filling of the outer electron shells..
Ionic bonds are formed when atoms become ions by gaining or losing electrons. Chlorine is a group of elements having seven electrons in their outer shells (see Figure 1). Members of this group tend to gain one electron, acquiring a charge of -1. Sodium is in another group with elements having one electron in their outer shells. Members of this group tend to lose that outer electron, acquiring a charge of +1. Oppositely charged ions are attracted to each other, thus Cl– (the symbolic representation of the chloride ion) and Na+ (the symbol for the sodium ion, using the Greek word natrium) form an ionic bond, becoming the molecule sodium chloride, shown in Figure 2. Ionic bonds generally form between elements in Group I (having one electron in their outer shell) and Group VIIa (having seven electrons in their outer shell). Such bonds are relatively weak and tend to disassociate in water, producing solutions that have both Na and Cl ions. Figure 2. TOP: Formation of a crystal of sodium chloride. Each positively charged sodium ion is surrounded by six negatively charged chloride ions; likewise each negatively charged chloride ion is surrounded by six positively charged sodium ions. The overall effect is electrical neutrality. Covalent bonds form when atoms share electrons. Since electrons move very fast they can be shared, effectively filling or emptying the outer shells of the atoms involved in the bond. Such bonds are referred to as electron-sharing bonds. An analogy can be made to child custody: the children are like electrons and tend to spend some time with one parent and the rest of their time with the other parent. In a covalent bond, the electron clouds surrounding the atomic nuclei overlap, as shown in Figure 3. Carbon (C) is in Group IVa, meaning it has four electrons in its outer shell. Thus to become a “happy atom”, Carbon can either gain or lose four electrons. By sharing the electrons with other atoms, Carbon can become a happy atom, Alternately filling and empty its outer shell, as with the four hydrogen shown in Figure 4. Figure 4. Formation of covalent bonds (Chemical Bonding) in methane. Carbon needs to share four electrons, in effect it has four slots. Each hydrogen provides an electron to each of these slots. At the same time each hydrogen needs to fill one slot, which is done by sharing an electron with the carbon. The molecule methane (chemical formula CH4) has four covalent bonds, one between Carbon and each of the four Hydrogens. Carbon contributes an electron, and Hydrogen contributes an electron. The sharing of a single electron pair is termed a single bond. When two pairs of electrons are shared, a double bond results, as in carbon dioxide. Triple bonds are known, wherein three pairs (six electrons total) are shared as in acetylene gas or nitrogen gas. Sometimes electrons tend to spend more time with one atom in the bond than with the other. In such cases a polar covalent bond develops. Water (H2O) is an example. Since the electrons spend so much time with the oxygen (oxygen having a greater electronegativity, or electron affinity) that end of the molecule acquires a slightly negative charge. Conversely, the loss of the electrons from the hydrogen end leaves a slightly positive charge. The water molecule is thus polar, having positive and negative sides. Hydrogen bonds are one of the types of Chemical bonding, as shown in Figure 6, result from the weak electrical attraction between the positive end of one molecule and the negative end of another. Individually these bonds are very weak, although taken in a large enough quantity, the result is strong enough to hold molecules together or in a three-dimensional shape. Figure 6. TOP: Formation of a hydrogen bond between the hydrogen side of one water molecule and the oxygen side of another water molecule. The presence of polar areas in the amino acids that makeup a protein allows for hydrogen bonds to form, giving the molecule a three-dimensional shape that is often vital to that protein’s proper functioning. Chemical bonding Notes: Molecules are compounds in which the elements are indefinite, fixed ratios, as seen in Figure 7. Those atoms are held together usually by one of the three types of chemical bonds discussed above. For example water, glucose, ATP. Mixtures are compounds with variable formulas/ratios of their components. For example soil. Molecular formulas are an expression in the simplest whole-number terms of the composition of a substance. For example, the sugar glucose has 6 Carbons, 12 hydrogens, and 6 oxygens per repeating structural unit. The formula is written C6H12O6. Figure 7. Determination of molecular weights by the addition of the weights of the atoms that make up the molecule. e.g. A + B —–> AB. e.g. AB —–> A + B. Figure 8. Diagram of a chemical reaction: the combustion of propane with oxygen, resulting in carbon dioxide, water, and energy (as heat and light). This chemical reaction takes place in a camping stove as well as in certain welding torches. Biological systems, while unique to each species, are based on the chemical bonding properties of carbon. Major organic chemicals (those associated with or formed by the actions of living things) usually include some ratios of the following elements: C, H, N, O, P, S.
All forms of matter are composed of one or more elements. Be able to list the major elements in living things. Describe how protons, electrons, and neutrons are arranged in atoms and ions. Define the terms atomic number and atomic mass and be able to describe their significance. Atoms with the same atomic number but a different mass number are isotopes. List the isotopes of hydrogen and of carbon. Be able to describe radioisotopes and list three ways they are used in biology. The union between the electron structures of atoms is known as the chemical bond. 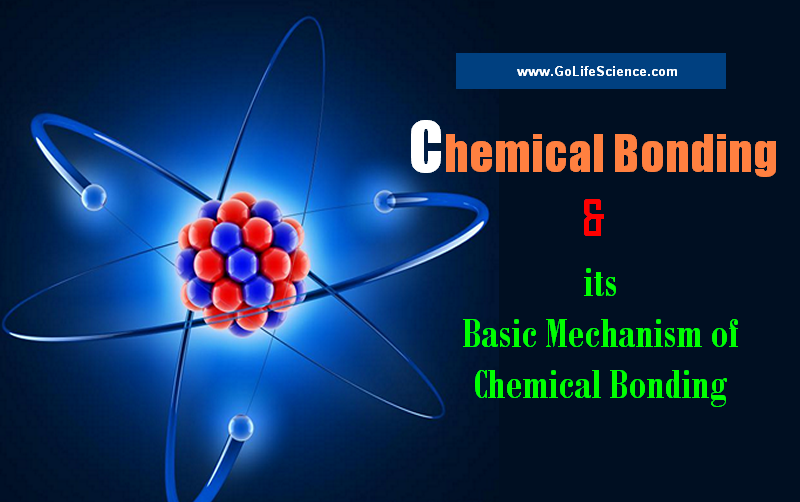 Be able to list and describe the three types of chemical bonds found in living things. Be able to describe the distribution of electrons in the space around the nucleus of an atom. An atom tends to react with other atoms when its outermost shell is only partly filled with electrons. Be able to discuss why this happens. Be able to define the two types of ions and describe through ionic bonds form between positive and negative ions. In a covalent bond, atoms share electrons. List several elements that tend to form covalent bonds. Distinguish between a non-polar covalent bond and a polar covalent bond and give an example of each. Define hydrogen bond and describe conditions under which hydrogen bonds form and cite one example. Explain what is meant by the polarity of the water molecule, and how the polarity of water molecules allows them to interact with one another. The Covalent Bond is the type of Primary Chemical bonding.